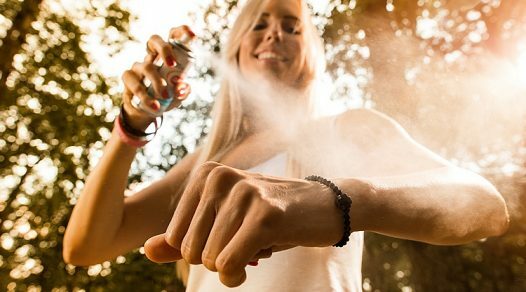 Safe to store any liquids - shampoos, lotions, sunscreen, oils and more. Travel bottles are essential for holidays since it’s not ideal taking full size bottles of shampoo or bodywash with us. 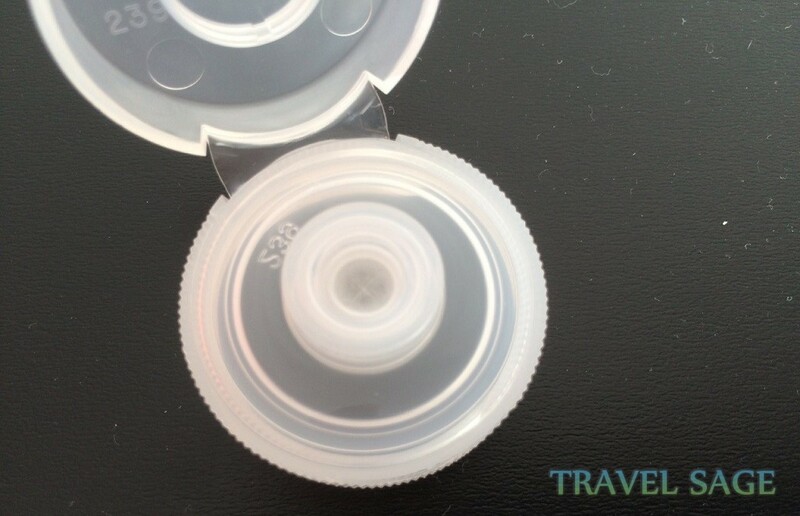 However, travel containers are usually made from hard plastic with fiddly caps. 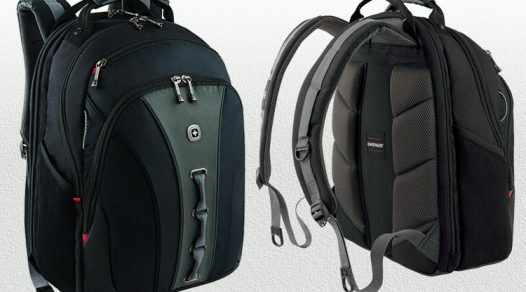 The Humangear GoToob travel bottles are designed with attention to the human experience. But how different are these bottles and are they ‘human friendly’? I’ve tested these bottles in order to answer these questions. 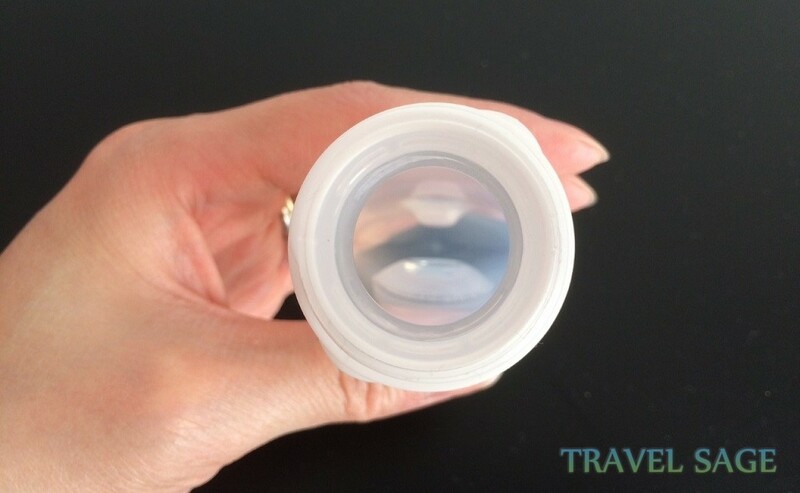 Squeezable: Easy to get the liquid out and allows us to use all the liquid inside the travel tube. ‘No Drip’ Valve: Keeps the cap clean and prevents leakage. 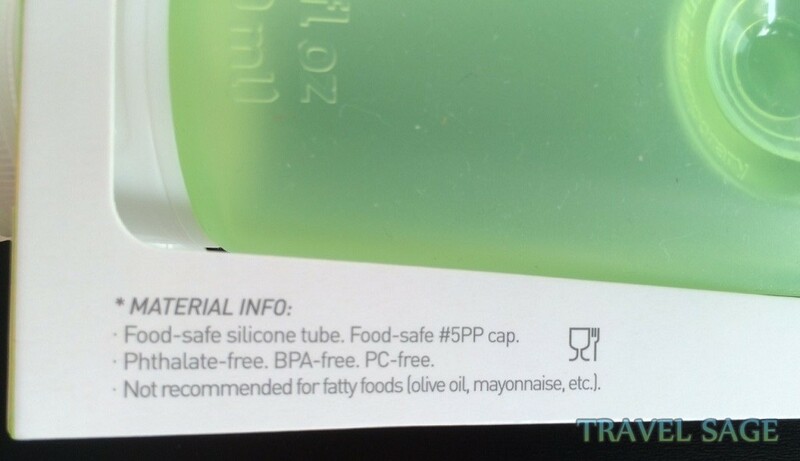 BPA-Free: Suitable and safe to use for liquid food substances such as ketchup. Suction Cap: Can be stuck on certain surfaces for easy dispensing. Easy to Fill: Large bottle opening for easy filling and cleaning. Hard to Read Labels: Embossed in the same colour as the plastic ring which is hard to read in a steamed up bathroom or in dim lighting. 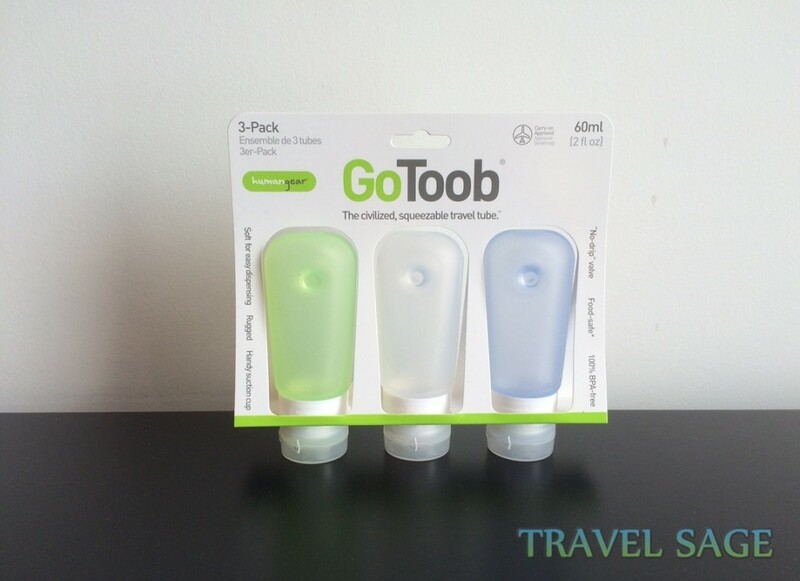 The Humangear GoToob silicone travel bottles are of a simple design as there is nothing particularly outstanding or remarkable about their appearance. 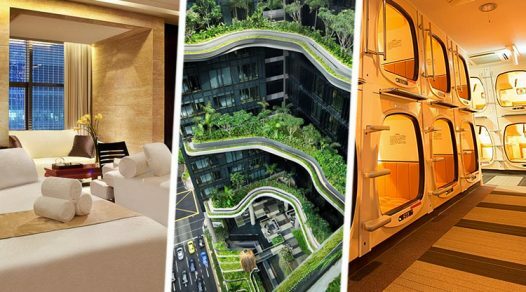 Near the top, there’s a suction cup on the back. They are removable to make cleaning easier. 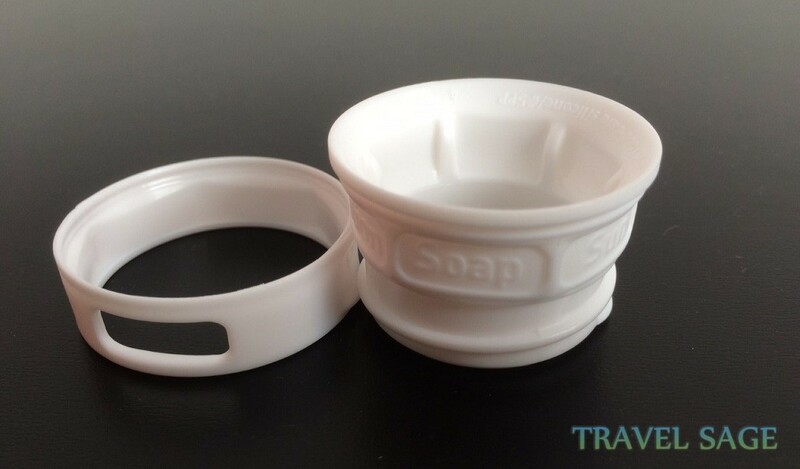 The bottle and label ring is dishwasher safe but the flip cap can only be hand washed. 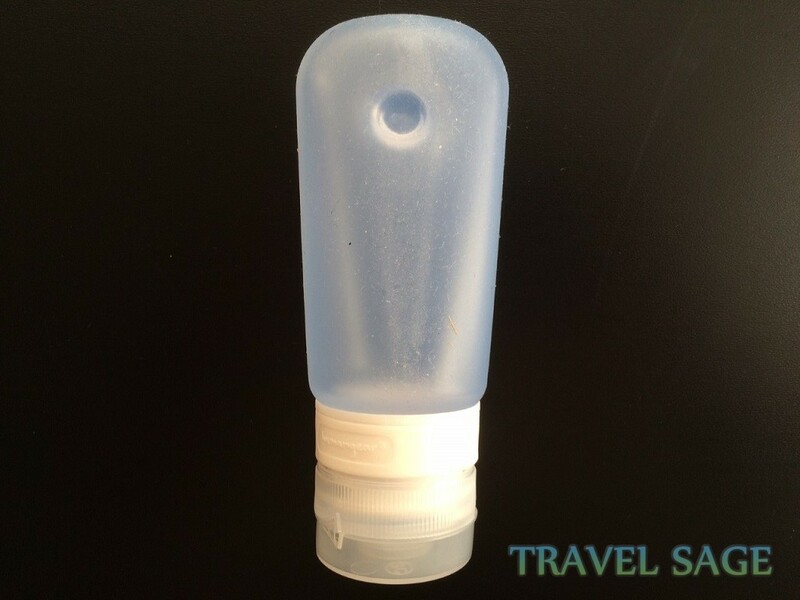 Made from soft yet rugged silicone, the travel bottles are easy to squeeze. They’re also BPA-free which makes it useable for food sauces as well. The opening of the bottle is large making it easy to fill up with liquids. Most liquids can be used in these bottles but Humangear recommend against using certain liquids that contain alcohol or silicone-based lubricants as it can affect the silicone. 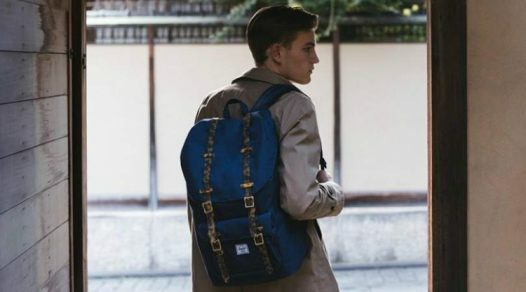 There’s a full list on their website. Screwed onto the bottom of the GoToob is a clear plastic flip open cap. In the opening of the cap, there’s a silicone valve which gives a clean and steady flow of liquid when the bottle is squeezed. This prevents liquid from leaking and sticking onto the cap. A white plastic ring sits above the cap. It’s used to label the travel bottle and has embossed labels of ‘Lotion’, ‘Soap’, ‘Sun’, ‘Shamp.’, ‘Cond.’ and a blank slot for you to write your own label. There’s an integrated rubber seal that holds this collar in place to prevent leakage. It’s simple to use the label ring. All you need to do is lift the collar and rotate it round to the label and snap it back into place. 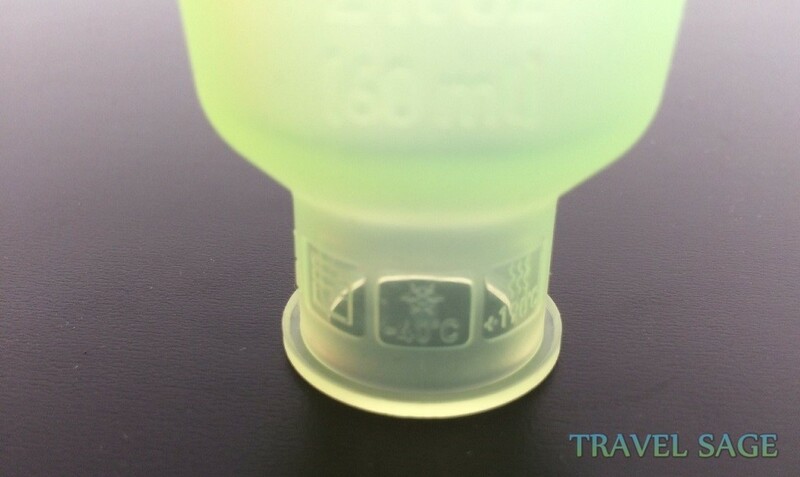 Pulling off the plastic ring will reveal some marked symbols around the silicone bottle. These symbols are useful to help you maintain your GoToob travel bottles to ensure they last a long time. Each Humangear product comes with a lifetime warranty which includes anything from a broken cap to an affected silicone bottle. As the GoToobs are clear and come in bottle sizes of less than 100ml, it’s been approved to take on flights in your carry-on luggage. I have the medium size which was ideal for my short haul flight on Ryanair when I went away for 4 days. The medium sized travel tube was enough to last me for those 4 days and I had more than half the bottle of product left in each tube. I imagine the small size would have been enough. People using the medium size for holidays have said the bottle lasted weeks. The plastic labelling collar was useful in marking the squeezable travel bottles especially with the blank slot which allowed me to write my own label if needed. I did find that the labels are quite hard to read though as it’s embossed in the same colour as the collar. It would have been easier if the collar could be twisted instead of having to pull it off. I had to adjust to the correct label before filling the bottle otherwise some of the liquid would spill when I did this with a filled tube. Having the suction cup allowed me to stick the Humangear GoToobs onto bathroom walls which made it easier to dispense shampoo and bodywash. However, the suction isn’t very strong because the tubes kept sliding downwards and I had to keep sticking it back up. Although the bottle and label ring is dishwasher safe, I found that there would still be bits stuck inside the edge of the bottle or in the ‘no drip’ valve. This mainly happened with thicker liquids such as creams. Luckily with the large opening of the bottle, I could easily clean inside the bottle with a small brush. Being made of silicone, the travel containers tend to pick up fluff and dust easily. It’s easy enough to wash off but then when you dry it, you have the same problem again. 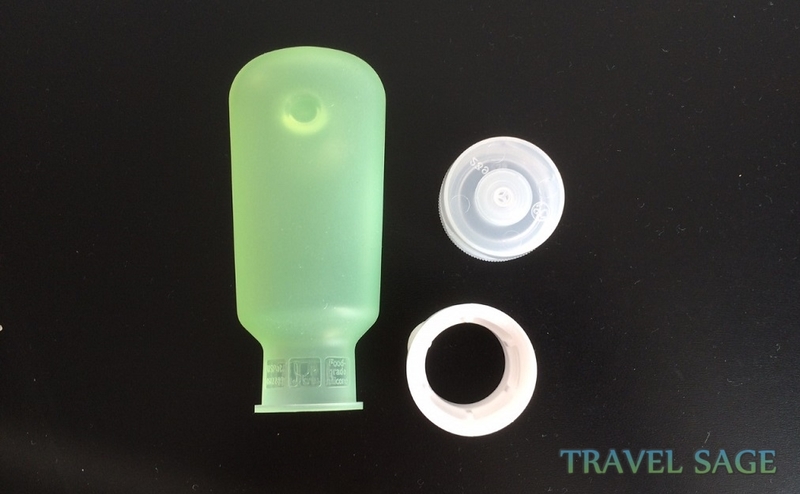 As these silicone travel bottles are comprised of the 3 removable components, I was concerned of possible leakage. I was able to pop off the rubber ring seal from the label ring when I squeezed the bottle to its flattest point. However, I used these on a recent flight and there has been no leakage so far. Some liquids do leak from the bottles though as they are not compatible. Unfortunately oils are one of these liquids. I filled one with olive oil which I use as hair serum and on arrival at my destination; I found it had leaked out. The packaging does actually state the bottle is not recommended for olive oil! It’s probably a better idea to put thick liquids such as face masks in the Humangear GoTubbs instead because they don’t squeeze out so well. 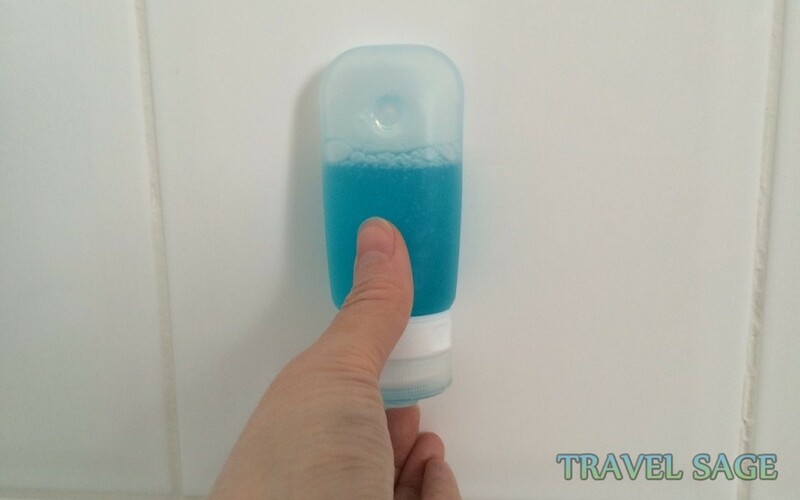 With most travel toiletry bottles, I always find liquid product gathered around the cap spout which really annoys me because it dries up and blocks the spout. So I was pleased with the ‘no drip’ valve as it keeps the cap spout clean as well as preventing leaks. One thing that bugs me about the valve though is that it’s hard to control the amount that’s squeezed out. I want a tiny bit more but when I squeeze it gently, nothing comes out and a quick squeeze gives too much! I’ve used a lot of different types of travel bottles in the past but most of them were thrown away after each use because they were too fiddly or leaked. The Humangear GoToob travel bottles prove to be different and have become an essential bottle for my liquid products on my holiday packing list. 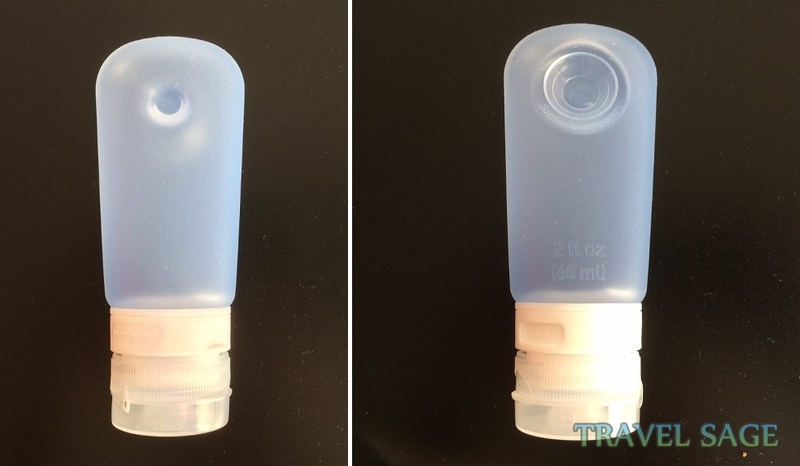 These silicone travel bottles are great for holidays, short trips, gym or camping. However, they are expensive compared to other similar bottles but these ones are easier to use and doesn’t leak. You can’t really go wrong either with the lifetime warranty!